Tom Grundy’s personal appearances on TV and radio. BBC Chinese reports on Tom Grundy and Hong Kong Free Press. 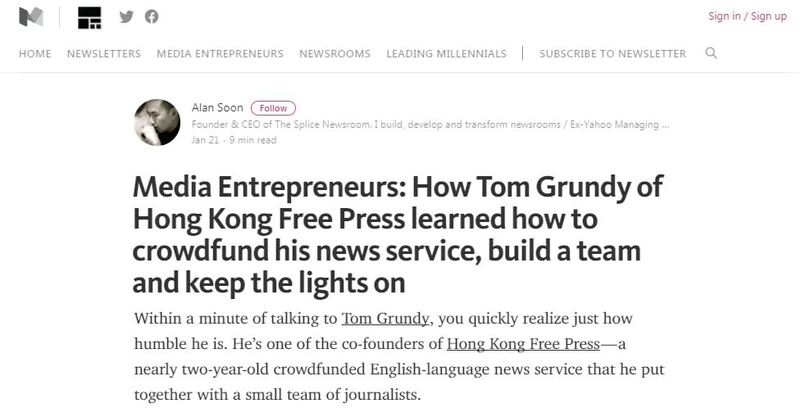 Alan Soon of The Splice Newsroom interviews Tom Grundy of Hong Kong Free Press. 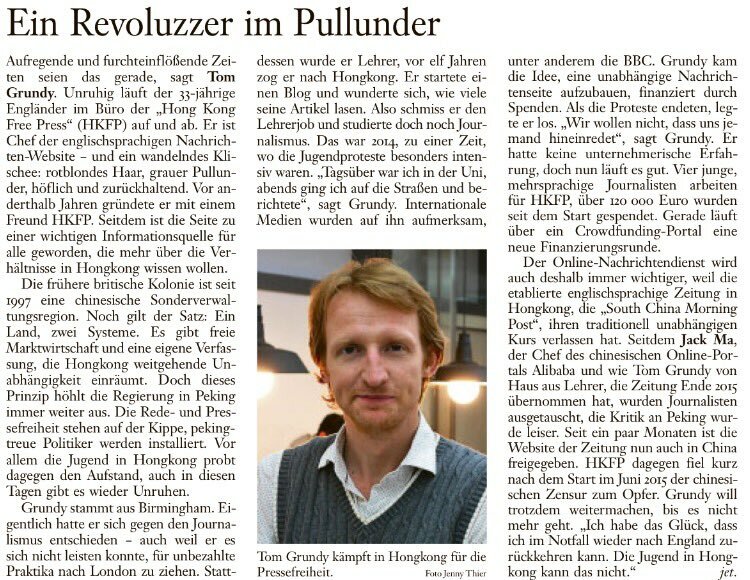 Report on Hong Kong Free Press in German newspaper Frankfurter Allgemeine Zeitung. 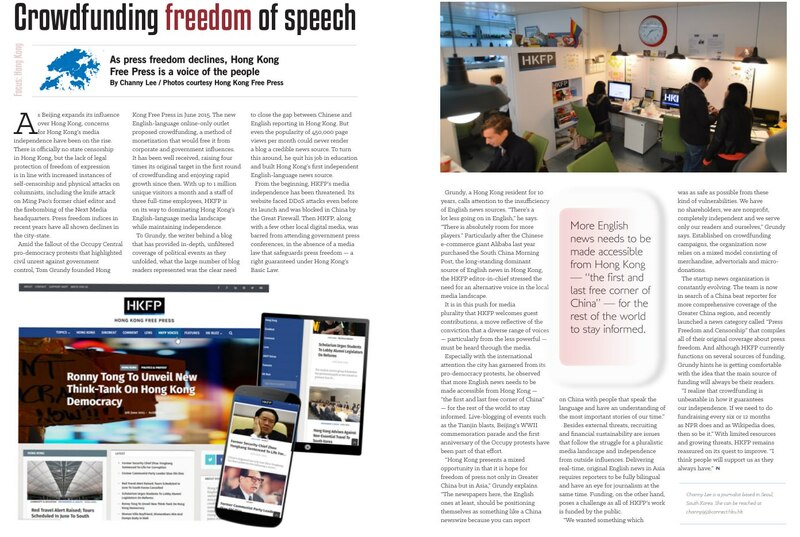 Voice of America examines the Hong Kong media landscape and speaks to Tom Grundy of Hong Kong Free Press. 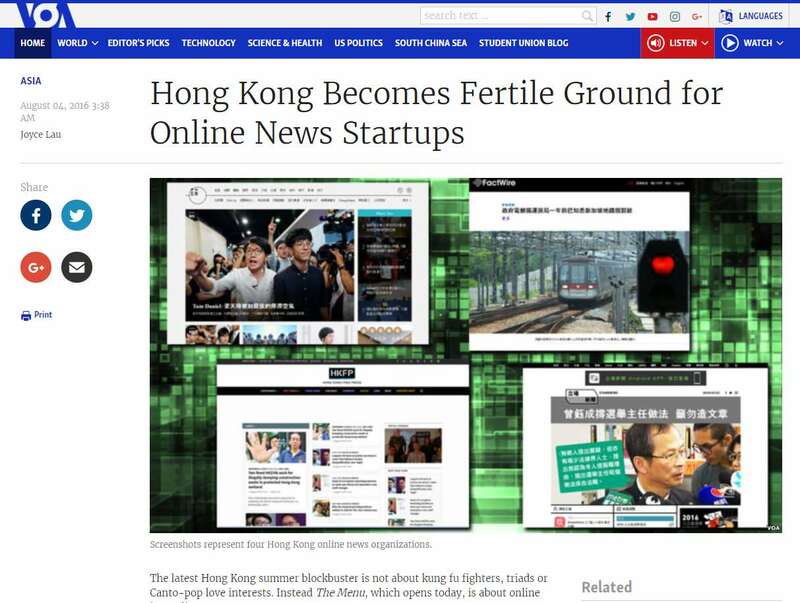 Hong Kong Free Press, an online newspaper, is launching a judicial review against the Government over its policy of barring online media outlets from its press conferences and releases. Should old and new media be treated the same, or are there important differences? 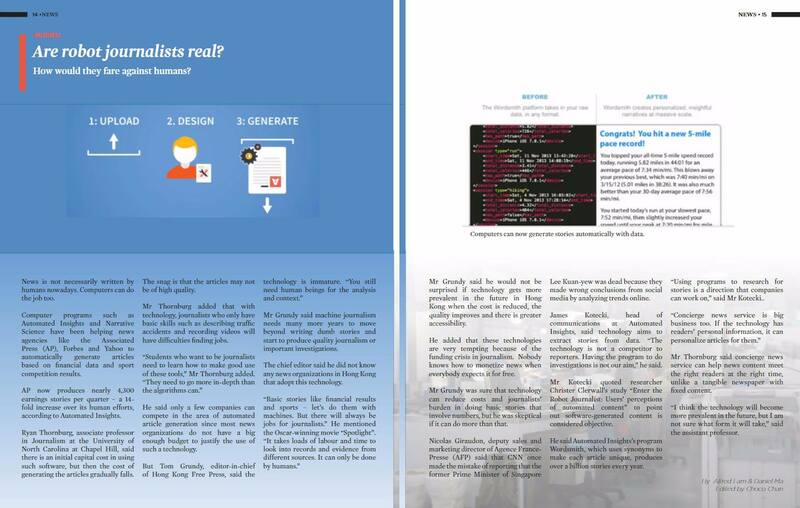 Tom Grundy on robot journalism, as featured in Young Reporter Magazine. 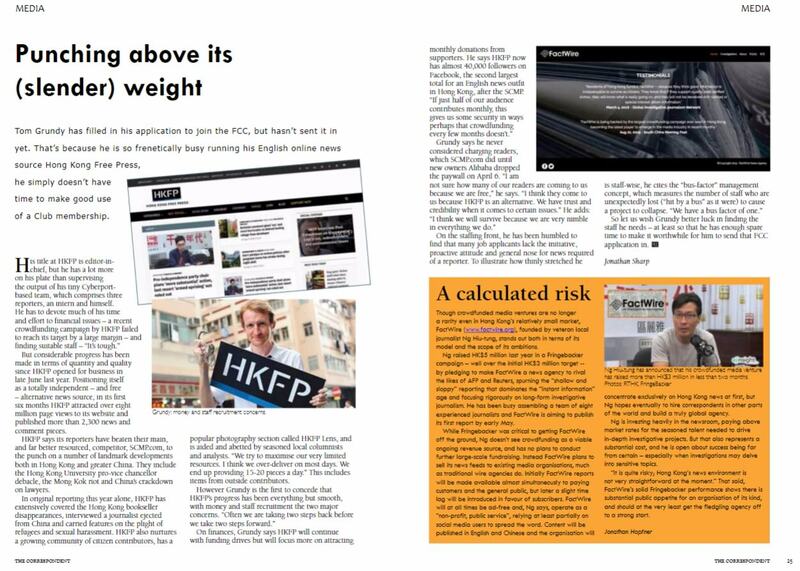 Tom Grundy of Hong Kong Free Press interviewed by Finnish journalism industry magazine Journalisti.